Investing in the emerging Russian market is certainly a challenge for any business: Not only are the systems overcomplicated, but the rules of the game change at short notice, such is the attraction that the idea of changing the market quickly and efficiently holds for the Russian authorities. This is why regulation itself is favored over market practice, which is trying to chart its own narrow course through the fluid legal environment. Russian law is often ambiguous and inconsistent when it comes to regulating the funding of construction development. Statute law provides for insufficient regulation, and this lack of regulation filters down into case law, producing interpretation that cannot be justified in commercial terms. The "investment agreement" contractual model has systematically been used in the market for the purposes of funding the construction of commercial real estate. This type of contract normally envisages each party contributing to the project (e.g. title to the development land plot, funds, construction management experience and the like) and sharing the result (and registering title to their respective shares: Under Russian law, the title to real estate is considered to have been perfected when it is registered in the Russian Unified State Register of Immovable Property and Transactions.) in pre-defined proportions on the basis of a space allocation certificate once construction has been completed. However, a major legal disadvantage of the investment agreement has always been the lack of clarity regarding its legal nature and the legal rules that regulate investment activities. 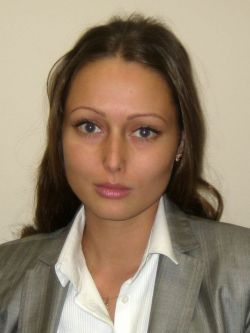 Owing to the lack of statutory regulation, the Russian Supreme Commercial Court has recently issued a legal opinion clarifying the nature of investment agreements, changing dramatically the intentions of the market as shaped through commercial practice (Resolution of the Plenum of the Russian Supreme Commercial Court No. 54 On Several Issues in Resolving Disputes Arising from Contracts Concerning Real Estate that Will Be Built or Acquired in the Future dated 11 July 2011). construction contracts, should it be proved that the intention of the parties was to provide construction work for a fee, whether in kind or in cash. Needless to say, the above interpretation of investment relations may well result in mandatory rules being applied that pertain to the relevant type of contract, even though the parties never expected or intended this to happen. The significant change of legal interpretation also leads to potential tax exposure. The tax authorities would normally look into the essence of the parties' relationships, just like a Russian court would do, so how they view the parties' actual relationship will dictate whether they consider that taxes have been properly paid or need to be recovered. a construction permit is not obtained before deadlines provided for in the contract or, should the contract be silent as to deadlines, if a construction permit is not obtained within five years of the commencement date of the investment contract. It should be noted that court practice has not yet evolved into a consistent approach to the termination of investment contracts; however, recent case law shows that the courts tend to be formalistic in their attitude, and it is hardly feasible for an investor to prove that failure to complete was due to the fault of the state/municipality (e.g. refusing to issue the construction permit). Now, the legal clarifications of the Russian Supreme Commercial Court referred to above and the changes to law have again put investors in an unfavorable position. They have no choice but to search for new structuring options to avoid potential legal and tax implications.